Typically, Black Friday has the best deals going on as the majority of the most popular retailers are competing to get people in the doors. They do this by offering door buster deals or special offers that are discounted in the store or online. My wife looks forward to this day every year, get up early and waits in long lines for the best deals. I do not go with her. I hate shopping! Our family needed a new washer, dryer, and a hot water tank, but I was not willing to fight those crowds to get what I needed so thankfully they we all on sale Online. Before deciding on which appliances I was going to purchase, I looked at customer reviews and visited several consumer report types of websites to see which brands were the most reliable, user-friendly etc. I narrowed it down to (2) different makes LG and Samsung. Now that I knew which brands I felt suited our family the best I needed to ask the boss which one she liked better. About a week before Black Friday I took her to Best Buy which had both makes and several models on display. She decided on a Samsung washer and dryer. Finding the Lowest Prices on Black Friday. Luckily, this is the easy part. Once I had the exact model number of the appliances that my wife wanted, all I had to do was enter that into a search on Google. All the major retailers showed up in the search. Best Buy, Lowes, Home Depot, and Costco. Those were basically the only ones we checked and all of them were already advertising the deals they would be offering on Black Friday. We decided that Home Depot was $2 cheaper but also gave an instant discount of $60 if (2) or more appliances were purchased. This was actually $10 better than Best Buy which was offering $50 credit. So Home Depot it is. Using Cashback Apps to Save even more Money. Now that I had the make, model, and retailer where I wanted to purchase my appliance from it was time to check and see if I could save more money by using cashback apps. The 1st one I started with was Ebates, but for some reason Home Depot is one of the few retailers that are not present on that site. The next app I checked was Ibotta. 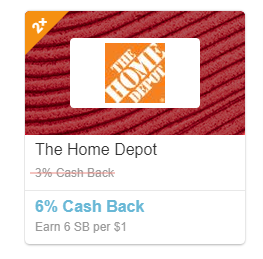 They are my favorite site for getting cashback on beer, wine, and groceries, but they only offered 1.5% cashback at Home Depot. That’s not bad and better than Ebates but I felt I could probably do better. Swagbucks was the next and final site I went to. They were having their own Black Friday cashback event and were offering a whopping 6% back at Home Depot. That will give me more than 16,000 SB which equals over $160. 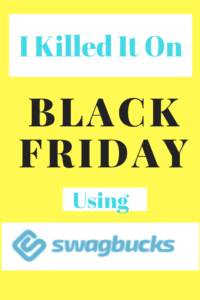 SB is the swagbucks currency that you can redeem for gift cards from popular stores or redeem for cash through PayPal. I Love Saving Money from the Comfort of my Home. While my wife was out fighting the crowds on Black Friday, I was sitting on my sofa, watching television, and saving cash at the same time. All the items I purchased were needed and I had to buy them anyway. By waiting til Black Friday I was able to save an additional $62 by shopping at Home Depot. Using Swagbucks I was able to save an additional $165. That’s $227 savings all from home and all items have free shipping right to my door. There was also another bonus that is only available thru Swagbucks. One of my sons is a big sportsman and loves Cabelas and that’s where we usually get him something for Christmas. 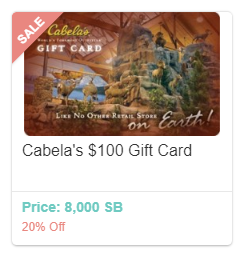 Swagbucks has Cabelas gift cards on sale at 20% off. So not only did we save $165 on our Home Depot purchase, we also saved $20 by redeeming my SB for a Cabelas Gift Card. SwagBucks is Much More than People Think. Swagbucks is one of my favorite sites for making and saving money. I love playing their Swag IQ trivia game app ( I’ve actually won it several times). 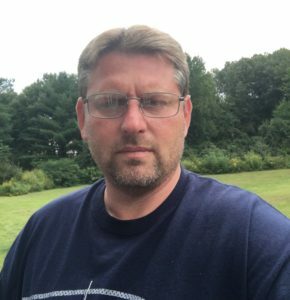 The best feature for me is the Cashback Shopping, I use it all the time for my contracting business. If I need something at Home Depot or Lowes, I order it thru Swagbucks and pick up in store. I not only save from 1-6% on my purchases but its also waiting for me when I get to the store saving me time and money. Join Swagbucks or read my full Swagbucks review here.